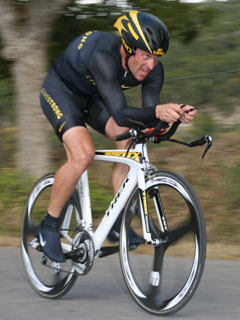 Lance Armstrong doping motto: ‘Live strong’ or live smart? Few years back, I got to profile a teenaged female wrestler who stayed on the outskirts of the official suburban limits of Bombay (it wasn’t named Mumbai then). Her father was a sportsman in another discipline but her uncle was a past champion in wrestling sport and the mentor in real sense. A list of her achievements and performance comparison of her weights lifted were far superior to her peers who were much beyond her in age, too. “I don’t understand,” I asked with a mindboggling question in my mind. “If she is so good why have I heard only names like Geeta Devi (in her weight class) and bigger names like Sanamacha Chanu – all concentration of power is in North India or down South – when we had such a huge talent in Mumbai”? I made no bones of expressing my conspiracy theory. So you want to tag along for a free ride as is usual (think Kalmadi)? He did not expect such a blatant question and now it was his turn to go on the defensive. The usual dramatics followed of trying to veer from the conversation and yet wanting me to take the bait. The enthusiasm of having found a local hero-ine (pun unintended) gave way to some indignation. But months later when the girl’s career went bust because of their stubborn stance I put myself in their shoes. They battled the stigma of a lady being in such an unorthodox sport for that. Surely they had some reason to allow all the years of hard work to go down the drain but not risk the ugly stamp of Doping on her career. What is our reaction to doubts being confirmed that Lance Armstrong was part of a most sophisticated drug programme undertaken and that all his seven Tour de France cycling feats or some may have mud on them. If Armstrong cheated because he wanted to be just No 1 at all costs, he has paid the price. Period. But there are and will be many such as Barry and Ullrich (see related links) in this tough world of sport who may not have wanted to but have taken to doping just because they don’t want to be left out or lose that vital edge in the race to the top. Blaming athletes for that may be a myopic way of looking at it. It is a failure of the system. As the lady wrestler proved, it can be possible to dope your way and not get caught if you know what you are doing. Athletes of today are taking that extra step, along with raising the bar in their skill set, to match the rising level of competition. Question is what are the governing bodies doing about it who have more or less to focus on outsmarting the players in the drug battle? Posted on October 17, 2012 by Kumar. This entry was posted in Sports and tagged Cycling, doping, drugs, Lance Armstrong, mumbai, North India, Sanamacha Chanu, Tour de France, United States Anti-Doping Agency. Bookmark the permalink.